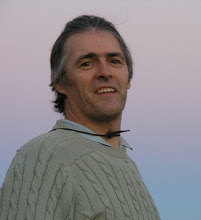 Dr. Paul Cameron is a research scientist from Australia who frequents this forum to promote the neo-Darwinian perspective within the Christian tradition. I think it important to carefully consider his arguments because I believe him to be honest and sincere in his beliefs and to represent many if not most mainstream scientists who also consider themselves to be Christian to one degree or another. What surprises me, however, is that Dr. Cameron seems to recognize at least the potential for limitations to the Darwinian mechanism of random mutations and natural selection to explain the existence of complex biological systems beyond very low levels of functional complexity. This is interesting because it is quite unusual for any evolutionary scientist to even hint at such a limitation to what is seen, by most, as the “sacred cow” of mainstream evolutionary biology – i.e., the creative potential of natural selection to take the raw material that random mutations provide and use that to create all of the wonders and diversity of life that we see today. I am asking do you have absolute knowledge of all the possibilities for the trajectory of sequence change in an individual molecule within a highly complex collection of organic material within a cell? I do not pretend to know much of the immensity of existing human knowledge much of which is documented in the scientific literature. I admit I am ignorant on many things, but on the possibility of a natural law explanation for much of the physical universe I appeal only to the history of science which has for the last 300 years progressively explained the natural world by natural process and natural law without recourse to miracles. Nowhere is this better illustrated than in modern evidence based medicine of which you are of course a part. Why if you no longer explain disease in terms of humours, spirits and demons do you not admit to the same processes in other areas of biology? To me it seems blindingly obvious. It is you, not me, [who] is appealing to supernatural explanations after you conclude, based on incomplete knowledge and data that some things that most of science for the last 150 years has considered likely of natural cause is naturally impossible and can only be explained by a celestial intelligent designer. For me, this line if reasoning is fascinating – especially coming from a life scientist like Dr. Cameron. The argument he forwards is that one doesn’t need to know how the mechanism works or how the job was done before one can know, with perfect assurance, that, however it was done, it was done via some kind of mindless non-deliberate naturalistic mechanism – such as some as yet undiscovered “life enzymes” to explain anything that natural selection might not be able to explain. He knows this because throughout history pretty much all of what were originally thought to be “acts of God” expressed in nature have turned out to have perfectly good naturalistic explanations. Therefore, such discoveries will always be found to explain anything and everything that might seem to us today to be truly an artefact of intelligent design. Is this not a problem for science? No longer is research or testable experimentation needed to support Darwinism or mindless naturalism in general. All that is needed is an assurance that even if the information isn’t yet in hand, that it will one day be discovered. How comforting for those who already know the truth and power of a mindless Nature and her fantastically creative, even God-like, abilities. The problem, for a real scientist anyway, is that such a position is not a testable potentially falsifiable science. It is a “God of the Gaps” philosophical position, rooted in blind-faith, not actual evidence in hand, that the philosophical position is true regardless of all appearances and evidence to the contrary. Strange, isn’t it, that a scientist who does science for a living would think to appeal to a GoG argument? But, it’s true. Creationists aren’t the only ones who fall for this argument on occasion. Scientists, when pressed on the issue, also appeal to a GoG argument even though the “designer” they appeal to isn’t intelligent and does not create with deliberate intent. Yet, this designer, Nature Herself, can explain anything and everything with an appeal to evidence, evidence that is not yet in hand but that will certainly be found in the future, to support this conclusion of a mindless creation of everything that exists. This position isn’t just unscientific, it is anti-science. It undermines the very basis of science itself. See the problem? One could argue the very same thing for the classic example of a highly symmetrical 1 x 1 x 1 meter polished granite cube found on Mars. In fact, given Dr. Cameron’s position, it would be impossible to present anything that he would accept as being a true artefact of deliberate design because he could always argue that we are ignorant of the totality of information and therefore cannot accept the artefact hypothesis for anything until we become omniscient. What an interesting conclusion coming from, ironically, a man who does science for a living. This is interesting because Dr. Cameron’s position depends upon and actually invokes omniscience as the only thing that can oppose or potentially falsify his position. He seems to demand absolutely definitive proof before he will even think about changing his mind. That, of course, is a philosophical position – not a true science that is based, not on absolute proof, but upon the weight of evidence that is currently in hand. The unbelief that demands perfect knowledge will never yield to the evidence that God is pleased to give. He requires of His people faith that rests upon the weight of evidence, not upon perfect knowledge. There are many who believe without a reason on which to base their faith, without sufficient evidence as to the truth of the matter. If an idea is presented that harmonizes with their own preconceived opinions, they are all ready to accept it. They do not reason from cause to effect, their faith has no genuine foundation, and in the time of trial they will find that they have built upon the sand. Do you really truly think what you have written honestly represents my views? I think not. 1] I do not come here to argue that neo-darwinism is correct. I simply argue that the scientific process including that in biology and evolution has validity, is self correcting and is not the enemy of faith. 2] I have argued that the conventional scientific view that evolution by genetic change and selection is the current best explanation for the diversity of life we see about us. 3] I have argued that statistical models are the servant of observation and are only as good as the ascertainment of the variables and confounders included in the modelling. 4] I remain unconvinced that your 100fsaar limit is anything beyond a figment of your imagination but if you publish it in the scientific literature and subject it to the critique of the forum of science then I am open to reconsider its merit. 5] That you have misconstrued my simple argument that the history of science and of medicine has been one of continual erosion of magical explanation and replacement by explanation based on natural process represents a God of the gaps argument beggars belief and really is quite desperate. That I suggest that statistically this process is likely to continue represents no more than a projection based on history. 6] To fixate on my analogy of enzymatic processes as confounders in determining probability is really a schoolboy debating tactic and does you no credit. 7] I accept conventional views of earth history. including Ice cores, fossil record, geological columns radiometric dating, lake sediments, oceanograpy, continental drift, vulcanology, ice ages, population genetics, molecular phylogenies, common ancestory of all vertebrates. You do not. Why then am I portrayed as anti-scientific and you are somehow superscientific? 8] I accept in good faith the expertise and finding of scientists outside my limited area of expertise. I realize I cannot ever know in depth the available primary data in all of science. You view your own understanding as supreme and reject with facility expert opinion in all areas that contradict your literalist fundamentalist position all the while denying that you have a faith position that provides a driver to confirmational bias. 9] As far as my religious views are concerned I am a Christian who accepts that the core of Christianity is the incarnation of God in Jesus Christ. I accept this as a revelation from God and not a position that can be arrived at by logic or science. 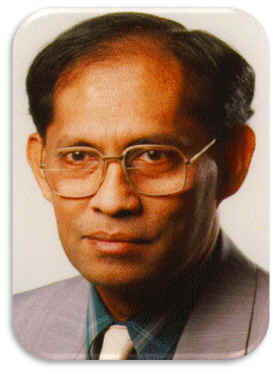 I belong to a Christian community that is SDA and accept the non-creedal adventist statements of belief. “I, personally, would have to go with what I saw as the weight of empirical evidence. This is why if I ever honestly became convinced that the weight of empirical evidence was on the side of life existing on this planet for hundreds of millions of years, I would leave not only the SDA Church, but Christianity as well” (http://www.educatetruth.com/theological/the-credibility-of-faith/comment-page-1/#comment-18717). Such belief is brittle and dangerous to the future of the Adventist faith community and I will not cease to protest against this as it infests the understanding of faith and science in any Adventist tertiary institutions. I wasn’t trying to summarize all of your views on science and religion in this article. I was only discussing one particular view of yours – specifically, your view that mindless naturalistic explanations will always be found, eventually, to explain anything and everything that might seem to be designed in our world by some non-human intelligence. Such a position clearly isn’t based on science, but upon a certain form of naturalistic philosophy which assumes that intelligent design cannot be detected behind certain phenomena of nature – especially with regard to the origin of living things, higher levels of novel functional complexity within living things, or the origin of the universe. In other words, even if you were to actually recognize that overwhelming evidence does in fact exist that the Darwinian mechanism is clearly limited to the lowest levels of functional complexity, you would still believe that some other as yet undiscovered mindless naturalistic mechanism was responsible. You would not even suggest that perhaps intelligent design seems like the most reasonable conclusion given the evidence in hand. You would continue to argue that some as yet unknown mindless mechanism is most likely responsible given the history of the success of naturalistic searches to find such mechanisms. Tell me, at what point would you give up your search and consider your position to be effectively falsified? What would it take to actually test your position in a falsifiable (i.e., scientific) manner? Because, as it currently stands, your argument is the same as the God of the Gaps argument where “Naturalism” (aka: mindless natural mechanisms both known and unknown) can explain anything and everything… and therefore nothing. So, does this mean that admitting even the possibility of error is “brittle and dangerous”? Is this not what science is supposed to do? at least admit to the possibility of error and the need for testing with at least the potential of falsification? – of being wrong? Are you not speaking out of both sides of your mouth here? “Perfect assurance . . . is not compatible with faith. Faith rests not on certainty, but upon evidence.” – The Ellen G. White 1888 Materials, pp. 1029, 1030. Paul doesn’t believe that the physical world will be changed when Jesus recreates the planet. He believes that biological systems will always be subject to suffering and death. As far as humans are concerned, he believes that we will be given new bodies that are not carbon based. That is how he explains the lack of suffering and death, for humans anyway, in heaven. Of course, this fails to explain how humans will feel no empathy for the continued suffering of sentient animals. How will we not suffer, throughout eternity, when we see gazelles ripped apart by lions or when we see our pets suffering with painful diseases? How is, “It’s just a part of nature!” going to remove this natural empathy for the suffering of innocent animals? I’m sorry, but this view makes God out to be either inept or heartless and cruel… unlike the Incarnate God described in the Bible who notices and suffers when even a little sparrow falls wounded to the ground. Why is this tagged philosophical naturalism? I know that telling lies for God is an accepted literal creationist practice from Gish to Hovind but I do expect better from my own faith community. I have been crystal clear on my position on methodological naturalism and the practice of science. Of course I could attribute it to incompetence rather than malice but I have a hard time imagining you did it unintentionally. The problem here is that your fideistic faith position does not effectively counter your arguments for methodological naturalism – arguments which rationally lead to philosophical naturalism for most rational people who accept it. 1) The obvious success of naturalism in discovering truths about the natural world. 2) The massive amount of knowledge gained via naturalism relative to other positions. 3) The lack of any rational method for knowing the supernatural. 4) The resulting lack of empirical or otherwise rational evidence for the supernatural. Therefore, teaching such a position in our schools would be counterproductive as the vast majority of people who seriously accept your assertions for methodological naturalism will head toward agnosticism or outright atheism. Such concepts do not help to strengthen faith in God or in the Divine origin of the Bible. These concepts are rationally anti-Christian and are therefore very clearly anti-Adventist. Why not just be honest with the implications of your form of methodological naturalism and admit the obvious conclusion as those like the late William Provine so clearly articulate? 5) human free will is nonexistent. Outside of your own metaphysical relationship with God, isn’t this the only rational conclusion one is left with if one accepts the basic claims of methodological naturalism? @Sean Pitman: This is becoming excessively tedious. I know you love Provine but you have already repeated this quote countless times. It seems to fit with your “if I ever..” meme as I have cited it. Either you are a fundamentalist or you are an atheist who adheres to philosphical naturalism. Noone can be a methodological naturalist. This simplistic understanding does not at all exhaust the possiblities of belief. You should read a little outside your comfort zone. My current read is Jonathon Sacks “The great partnership” which I highly recommend although I suspect, given previous form, you have already read it. In particular I thought his contrasting of Jerusalem and Athens and left and right brain were very useful. You seem to be a left brain sort of person as is Provine. You want the logic without any of the right brain activity. You want your religion to be rational and logical if not you will reject it entirely. I do not need my religion which I think a right brain activity to be scientific or logical. This may be incomprehensible to you but fortunately there are Christians and scientists who can appreciate that. In any case, you’re correct. It is in fact incomprehensible to me that there are Christians and even scientists who believe in a God for which they admittedly have no more rational argument or empirical evidence, of general appeal, than exists for garden fairies or the Flying Spaghetti Monster. And, I don’t think this conclusion is limited to “right brained” people (i.e., I’ve also been accused of being “left brained” on occasion – so go figure). Also, if there is no rational argument or empirical evidence for God, why even argue the point? What could possibly be said to convince anyone of the truth of your position when your position is admittedly beyond rational thought and empirical evidence? Such a position is indeed “robust”, as it is not subject to any challenge or question. However, at the same time, this particular feature really puts it beyond any and all discussion – does it not? After all, if there is no evidence outside of your own personal private “experience”, what then is left to say besides, “You need to have your own personal private experience with God before you can possibly understand what I’m saying”…? Dr. Collins also cites the existence of the “Moral Law” or knowledge of right and wrong is evidence of God’s existence in “The Language of God”… something that popular Christian apologist Ravi Zacharias does all the time. This isn’t to say that atheists are inherently immoral. Some of the best and most ethical people who have ever existed have been atheistic in their thinking and beliefs. However, the atheistic position offers no rational explanation for the existence of a universal moral code or why this code should be followed – i.e., why there is actually good and evil in this world or upon what empirical universal basis good and evil can be defined. In other words, upon what basis does an atheist claim that something is “right” or “wrong”? – “good” or “evil”? In any case, Collins simply isn’t entirely lacking in rational or empirical arguments for the existence of God like you seem to be – nor does he claim that such arguments are unnecessary or that the faith position should be completely unfalsifiable and infinitely robust to any potential challenge (rational and/or empirical). Of course Collins rehashes many of the arguments used by CS Lewis compelling as they are to varying degrees. The anthropic principle is nice and Christians are apt to take it as the last word of science. I think not. It at most supports Deism. But who wants to have their belief in the supernatural defined by a process that is only ever meant to be for the natural atomist world? It finally comes down to what you think the locus of Gods activity is. Do you want the traditional omipotent omnipotent omniscient God who is responsible for everything small or great now and forever? We have already forgone that option with our evidence based medicine and our travel to the moon by a logic technological process not by prayer (except in the case of Apollo 13). Rather most are looking for him in ever decreasing gaps in our explanatory paradigms whether we care to admit it or not. As Bonhoeffer would say we need to see God in what we know and not in what we do not know. He is at the centre of the Garden in the tree of life. We have to see Him in the events for which there is a naturalistic explanation. The miracle of modern medicine. This has been the God we see in the Abrahamic traditions. The will of Allah. We will do this or that God willing. Science is not where we find God. And that is at core the problem with literal creationism. The false dichotomy God did it or there is a natural cause or explanation. I would commend God after Darwin by John Haught for a perspective on this. As Lewis articulated it we have to confront the Christian God in the incarnate Jesus who we must accept as God or as a madman claiming to be God. I accept Jesus incarnate and the body of Christ the Christian community as the locus of God activity and revelation of God to man. The revelation of a kenotic God who abrogated himself to be a servant. It is nothing to do with accepting a logical naturalistic explanation or cogent argument for God but is is and always was a leap of faith. Foolishness to the Greek and a stumbling block to the Jew. As far as his M-theory is concerned, it is not testable or potentially falsifiable nor does it produce predictive power. As with string theory in general, M-theory simply isn’t scientific nor is it based on any reflection of the real world, the empirical world, in which we live. Because, faith without the need for evidence or rational understanding is the very definition of fideism. Such a faith is not distinguishable from wishful thinking and certainly is not the type of faith promoted by the Bible. Tell me, yet again, was not the faith of Jesus disciples increased by the empirical evidence of the Resurrection? As Bonhoeffer would say we need to see God in what we know and not in what we do not know. That is why you, and the vast majority of scientists, would in fact recognize intelligent design behind a highly symmetrical polished granite cube found on an alien planet like Mars. The reason why you’d be able to do this is because you would recognize that this cube could be produced by intelligence, but you are not aware of any non-intelligent natural mechanism that could do the job. You see – a combination of the known and the unknown. That’s how science works. Science is all about hypothesizing ways to get across gaps in the unknown by appealing to that which is known. This is also why scientific conclusions are always potentially falsifiable. He is at the centre of the Garden in the tree of life. We have to see Him in the events for which there is a naturalistic explanation. The miracle of modern medicine. This has been the God we see in the Abrahamic traditions. The will of Allah. We will do this or that God willing. You cannot rationally see God (vs. The Flying Spaghetti Monster) in events for which there is a naturalistic explanation. That’s the whole problem. If mindless nature can explain everything, there is no need to invoke God as an explanation. Why do you do this? Why do you not accept the madman hypothesis? Upon what rational basis do you make your decisions? beyond wishful thinking? It is nothing to do with accepting a logical naturalistic explanation or cogent argument for God but is is and always was a leap of faith. Foolishness to the Greek and a stumbling block to the Jew. If you have no cogent argument, why are you arguing for what you yourself claim is irrational and unexplainable? Without a rational argument, without empirical evidence of some kind, you might as well stop talking as rationality is the only effective means to communicate between humans since it is the only thing that is commonly shared between most people. Again, the Bible presents empirical evidence and rational arguments for both the existence of God and the Divinity of Jesus. God doesn’t expect fideistic irrational faith. Rather, he expects the science of faith where faith, as in any other scientific conclusion, is based, not on demonstration, but upon the weight of evidence that is currently in hand. Where is your demonstrable proof for 6 day creation? And if you don’t have it – statistically, mathematically, experimentally – why on earth do you think your position is not philosophical? And if you are referring to the weight of the evidence look at the weight of scientific opinion. Again, there is no absolute “proof” in science. What science is based on is the weight of evidence. You did notice that Sean quoted you extensively. Was there something buried in the elipses that he should not have omitted? Was there something outside this quote that should have gone with it that would have changed or clarified it? Do you wish to retract the quote as not being representative of your thought? Did someone else post in your name without your permission? Perhaps you can clarify. Sean, to my knowledge, has never made a claim to omniscience. Nor does he believe it. Nor does he “deny all possibility”. He just finds it highly unlikely. Your statement is over the top and sets up a straw man. You, the sensitive one to misrepresentation, should know better. you not only restate the fallacy of Sean’s belief in his own omnipotence, but you accuse him of being a literalist fundamentalist. You should at least ask before you assume that he takes a position. Even if Sean does believe that there are no mistakes of any kind in the Bible, there are still short-age creationists who don’t believe that. I know, because I am one. I published a book (Scientific Theology–at La Sierra University Press!) whose major theme was how to do theology where the Bible (or any presumably revealed source) was authoritative but not inerrant. So you can’t just assume that all short-age creationists automatically are fundamentalist. I realize that many of those who post here are, in fact, fundamentalist in that sense. And that may make it easier for you to dismiss them out of hand. But it is sloppy thinking to generalize to all short-age creationists, and doesn’t answer the (IMO) strongest creationist arguments. I expect better from you. To fixate on my analogy of enzymatic processes as confounders in determining probability is really a schoolboy debating tactic and does you no credit. you would have been better off to have understood and conceded the point, then tried to re-frame your main point avoiding the pitfall you had just fallen into. In case you still don’t see it, let me try to explain. First, Sean is not saying that life cannot possibly exist. It is rather that the probabilities are so low that it is not reasonably expected without intelligence. If one finds life, one can reasonably deduce that it was (by far) most likely designed. Similarly, finding one molecule of H2O2 is not unexpected, But if one finds a container with 30% H2O2 in it, one can reasonably suspect that “clever chemistry” was done by clever chemists, that is, one can make an intelligent design inference. That same design inference is being made in the case of life itself. You can stonewall, or you can ignore, both of which come off as being defensive, and making people wonder about your integrity. Or you can say, “You’re right. Thank you for pointing that out.” And nobody will think the worse for you. Some of us will even give you credit for discussing instead of debating. I think that Sean would say, and I know that I would say, that “proving” neo-Darwinism wrong (as much as can be done in science), would not by itself destroy long ages, or even common descent. Once intelligent design is involved, especially Divine intelligent design, evolution would have literally no limit. The Cambrian Explosion could happen within 5 million years, or 5 days for that matter, manna could breed maggots overnight, and water could evolve into wine in less than 5 minutes. But if I saw any of these, it would be reasonable to reject neo-Darwinism as an explanation. But notice that once we go there, we have left naturalism, and therefore if one insists on science as being circumscribed by naturalism, we have left science. Personally, I don’t believe so. I think that a scientist present at the feeding of the five thousand could do some interesting, and repeatable, experiments, that, except for the prejudice against the miraculous, would be eminently publishable. For example, were there only two sets of diploid DNA in the fish scraps left over from the feeding? That is a testable, and fascinating, question, with interesting theological ramifications. That you have misconstrued my simple argument that the history of science and of medicine has been one of continual erosion of magical explanation and replacement by explanation based on natural process represents a God of the gaps argument beggars belief and really is quite desperate. That I suggest that statistically this process is likely to continue represents no more than a projection based on history. Finally, it would help the discussion if you would clarify your position. From what I understand, you currently accept long ages for the history of life on earth. You also accept at least a modified version of common descent. (If I am wrong, please let me know.) I think you also believe in a God who is capable of intervening in nature. Do you believe that God hasn’t intervened in nature? Do you believe that God has intervened, but in ways that we never can discover? Do you believe that He has intervened, and we can discover some of those ways, but that we haven’t done so yet? Do you believe that He has intervened, and in some cases we have reasonably identified some of those interventions, say at the origin of life? Or have you not formed an opinion on this set of questions? You are I am sure right in that I have unjustly simplified Sean’s views. Reductio ad absurdum. Against my better judgement I am repeatedly drawn to comment here because I cannot comprehend that highly intelligent people seem to hold some views I think myopic, anachronistic or factually incorrect. To your other points I am cognisant of 1942. My resources are limited and I cannot open another front. I have read your origin’s paper and I guess I should read your book as I have endured the frustration of Sean’s, and David’s. Thanks. I appreciate your candor. And I do understand the problems involved with working on several fronts at once. When we have more time, perhaps we can correspond. If you reply here, I should be notified automatically. After reading your Origins paper a couple of times I remain confused. I am uncertain whether or not you accept methodological naturalism as the basis of science. Do you accept it as the basis of evidence based medicine? I still can’t see how you can accept ID as part of any science based on methodological naturalism. It is perfectly reasonable to start with the assumption of mindless natural mechanisms when considering a new phenomenon. However, once the known limits of these mechanisms is reached, it is no longer rational to hold to such mechanisms or to propose that such a mechanism is sure to be found in the future if it is also known that the phenomenon in question is within the realm of what intelligent design can achieve. At this point the most rational scientific conclusion is that intelligent design was most likely responsible (as in the origin of the highly symmetrical granite cube). Tell me, are the sciences of anthropology and forensics and SETI based on “methodological naturalism”? Are the artefacts of human production, such as arrowheads or pottery, the products of “nature”? Of course they are since humans are defined as “natural” by most scientists. However, humans are also intelligent. Humans can therefore produce complex machines and simple granite cubes that are clearly beyond the abilities of any non-intelligent natural mechanism – and these products are actually detectable, by science, as requiring intelligent design. Therefore, it is technically possible to use the very same arguments from “methodological naturalism” to detect intelligent design beyond certain phenomena. One does not need to propose the identity of the designer or to “prove” that the intelligence came from a “supernatural” being. That simply isn’t a requirement nor is it a possibility for the natural to prove the supernatural or for the finite to prove the infinite. However, it is possible for the finite to detect intelligent design by scientific mechanisms – even via methodological naturalism. You ask if I accept methodological naturalism. I am not sure what you mean by that term, and am short on time right now. If you have time to clarify before this afternoon (Pacific Daylight Time (LA)–I realize yours is different) I will try to answer the clarified question. If not, then I will give some meanings that have been given to the term, and outline my position. Talk to you later. Lets not invent any neologism. I think we can start with what wiki lists as methodological naturalism. “Methodological naturalism is concerned not with claims about what exists but with methods of learning what is nature. It is strictly the idea that all scientific endeavors—all hypotheses and events—are to be explained and tested by reference to natural causes and events. The genesis of nature, e.g., by an act of God, is not addressed. Its a simple question really do you think science is or should be conducted according to the premise of natualism? Do you practice medicine according to a naturalist understanding of causation of disease processes. My response is yes and yes. Unless we can at least agree on what is the scope of the processes it is hard to have any meaningful discussion of the role of faith and the supernatural. As I was composing my answer, I was notified of your clarification, and thank you very much. It helps. It [methodological naturalism] is strictly the idea that all scientific endeavors—all hypotheses and events—are to be explained and tested by reference to natural causes and events. The genesis of nature, e.g., by an act of God, is not addressed. The exception of “the genesis of nature” is an odd exception. Interpreted one way, it would take the creation-evolution controversy out of the reach of methodological naturalism. I suspect that the definers did not wish to do that. Rather, they wished to take the moment of the Big Bang, and its possible cause(s), out of the discussion. As I read this, it seems to say, that we must pretend that philosophical naturalism is true, and act accordingly, in all cases but the Big Bang. This would be what I would characterize as the strong form of methodological naturalism. Because of its lack of any exit clause, people following it are forced to deny any evidence for miraculous events. Not only is the creation at stake (unless one takes the exception for the genesis of nature literally), but the Flood must be completely discounted unless one can find a mechanism, as must the Exodus (but not the crossing of the Jordan (!) ), the slaying of 185,000 men of Sennacherib’s army, Nebuchadnezzar’s dream and Daniel’s visions, the 3 Hebrew worthies and the fiery furnace, the incarnation, Jesus making water into wine, most of the healing miracles of Jesus, the raising of Lazarus, and Jesus’ own resurrection. And I’m afraid that the resurrection of Jesus will not in our (natural) lifetime be able to be explained as a naturalistic event. So, to make a direct answer, No, I do not believe science should be practiced according to the premise of naturalism. It often is, and that is too bad. Now, there is a softer form of methodological naturalism. That says, when observing an event, look for a naturalistic cause. If it seems reasonable, accept it. Supernaturalistic causes should only be assumed if (1) they make sense, (2) naturalistic causes have been investigated reasonably thoroughly and found wanting, and (3) they are accepted tentatively, with the realization that they may be invalidated by further evidence of a natural cause. This form of methodological naturalism I can accept, and find useful in life in general and in medicine. What does one do if the evidence currently points to the supernatural? One can deny it, like a true believer in naturalism. One can say that this is an area where the truth is beyond science, which means that science is deficient, and specifically in this area, as a total explanation, and we shouldn’t attempt any study of this area using scientific procedures. One can say that the edge of science is precisely where the inference to the supernatural is made, so that the inference is scientific, but all further inferences are forbidden. Or one can say that the effects of the supernatural are also a legitimate subject of scientific study, as long as the results are reproducible. The latter is my present position. Since I’ve given my position, may I ask you whether the more nuanced alternatives would change your answer of “yes and yes”? There is one other point that I should touch on, as you asked it earlier and I haven’t answered it. It regards evidence-based medicine. I think evidence-based medicine is a good-sounding idea. We should all strive to practice medicine based on the best available evidence, and if that is all that evidence-based medicine means, then I certainly don’t object. However, I have 3 problems with how it has been practiced. The first is the sometimes wooden application of cost-benefit ratios. There was a furor in California when dental caps were rated more cost-effective than appendectomies by Medi-Cal (the incident seems to have gone down a memory hole). Now, maybe dental caps are so helpful to human health that they should be rated that highly. But I would submit that any health plan, including a government one, that would condemn people to either death or a prolonged convalescence in the name of saving money is wrongheaded. Before there was any insurance whatever, ethical doctors would not allow patients to die needless immediate deaths simply because they could not pay. The second problem is when category 3 evidence is ruled out of bounds, one sometimes gets strange results. Medi-Cal actually tried to take nitroglycerin off of the formulary, as there were no double-blind placebo-controlled studies that showed it worked. No, and there are no double-blind placebo-controlled studies that show that jumping off of a cliff is dangerous to your health, either. Two questions come up: How would one maintain blinding in the proposed study, and how would one ethically sign patients up? After an uproar from doctors, the medicine found its way back on the formulary. The final problem is that knowledge is limited, and sometimes there are particulars that override the (known) general rule. Viagra was first tested for the treatment of angina. It was not until patients insisted in staying on it that it dawned on the investigators that it could be used for the treatment of erectile dysfunction. Similarly, Compazine, and now Reglan, are often effective treatments for migraine headache, although they were not initially studied in this regard. Physicians are supposed to use their own judgment in this regard. That’s why physicians go to medical school for 4 years, then residency for another 3-5 years, instead of taking 1-2 years like a physician’s assistant or nurse practitioner. Evidence-based medicine, if not done carefully, can amount to a state committee making pronouncements that are supposed to be slavishly implemented, as if the committee had all wisdom and the individual doctors had none. Otherwise we might as well all just be physicians’ assistants, supervised by the committee. I am cautious about approving evidence-based medicine without qualifications. To save us some time, I will rephrase the question: Do I accept methodological naturalism as the basis for medicine, the answer is No for the strong form of MN, and Yes for the softer form. Excluding your particular economic twist on EBM which seems a peculiarly American phenomena I think I can distil your detailed response down to conclude that you think miracles are and should be part of science. I think this is probably at least partially because you have a different understanding of what is science than I do. I have tried to articulate what I think is science here on several occasions. 2] Do experiments to test the hypothesis. 3] Report those experiments in the peer reviewed literature which is the canonical repository of scientific information. All three steps are needed for valid science. Around this core of science there are of course simpler and less specific chatter for consumption by the lay audience. When J Exp Med, Nature or Science reviews a paper reporting experimental work and critiques it asking for more mechanism which they are want to do they never in my experience ask for explanation as anything but naturalistic explanation. I would agree with the journals that if it does not follow this convention it is not science and will not be published as science. Of course there have been work at the edges and for example some studies of intercessory prayer but such studies have been phenomenological rather than mechanistic and such studies are of course not viewed as useful especially if you simply conclude there is some supernatural mechanism. In terms of mechanism what then. A couple of Cochrane reviews have concluded there is no effect in metaanalyses so this point has not relly been reached. Certainly it is not at all clear that one can objectively change the phenomena by appeal to the supernatural entity. As you well know Christians have a whole theology around answers to prayer. I remain sceptical that a supernatural event can be analysed “scientifically’ even phenomenologically. The events you cited as miracles to be analysed scientifically would require some scrutiny of the basis for the observation. I dont think you can get past that point as the documentation of the observation are far from certain. Much better to clearly articulate the domain of science and accept that there is much beyond science including miracles that are best analysed by alternative mechods. I’m sorry if you got that impression. Science, in my mind, is (or should be) the study of the reproducible. 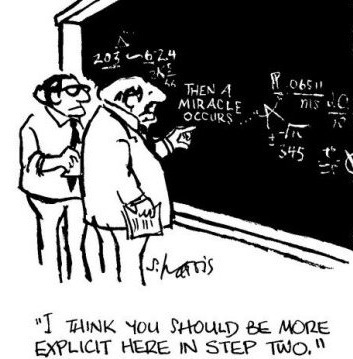 Miracles should only be considered part of science if they are reproducible. The aftereffects of miracles, on the other hand, can easily be reproducible. So your science has methodological naturalism built into it. Be careful of the word “canonical”; it smacks of religion. 😉 But I am worried more about the concept than the word used. It seems that this concept is not strictly necessary to do science. For using this concept means that Isaac Newton did not do science, which seems preposterous. Neither did Charles Darwin. He didn’t publish in Nature. He wrote a book. Now, don’t get me wrong. Publishing in a peer-reviewed journal is a desirable goal. I have done it. But science shouldn’t be defined that way. I will agree that the miracles themselves are usually beyond science. However, if they become reproducible, various physical and theological hypotheses can be tested. And their aftereffects certainly can be tested. Just to give you three examples, the Shroud of Turin was claimed to be the burial cloth of Jesus. Multiple tests have been done, including carbon-14 tests, which apparently indicated a late date. Claims have been made that these tests were on a corner patch from later. I do not have direct evidence that can make me reasonably sure one way or the other. But the tests were published in scientific journals. Were they not scientific? Would they not be scientific if they had come out matching the first century AD? Finally, suppose we were to find, consistently, small but measurable (above background) amounts of carbon-14 in diamonds, coal, dinosaur bones, etc. Would those results be scientific? Should they be published in scientific journals? If you were editor, would you reject them because they might point to a miracle? You don’t say so specifically, but I get the idea that everything published in scientific journals should have a mechanism. Would you agree with this proposition? And finally, if mechanism is required, can you explain the mechanism behind the double-slit or ghost pathway experiments in Quantum Mechanics? Have you ever seen a mechanistic, as opposed to a mathematical, explanation of quantum mechanics? Should it be excluded from the realm of science? It seems like your definition of science could use some work. Just for what it is worth, multiple philosophers of science have worked on defining science, and the consensus is that there is no currently satisfactory answer to the “demarcation problem”, and may not be in the future. If you don’t believe me, read the philosophy of science literature. Is that evidence supported by a majority of objective scientific opinion? Ask Dr. Ben Clausen, an Adventist, a nuclear physicist, a member of the GRI about the age of the earth? Do you really think the weight of the scientific evidence is for a young earth and young life, or do you just ignore experts like Dr. Clausen and his expertise in nuclear physics you obviously don’t possess? Ask youreslf if extant adult platyypusses in Australia have teeth? If not why do you refer to the finding of a platypus tooth in Argentina. Do you really think the total scientific weight of the evidence supports kinds ( species) of land animals coming off the Ark four to five thousand years ago, spresding out over the world and differentiating in differnt environments to the degree of modern extant biodiversity!!!!! Really Dr. Pitman! In light of the previous Babylonian Epic of Gilamesh story? Pard, nobody faults you for belief, its when you claim that the weight of the scientific evidence supports your very specific YLC position that incerdulity results. Absolutely nothing wrong with questioning and examining evolution. It could be worng but there is no other scientific theory yet to cahllenge it. And fiat creation is certainly not a scientific theory. It is religious belief pure and simple. And Darwinian evolution does not negate the concept of God, just the notion ofthe biblical God you believe in. The motivation for you to bend your subjective views of science to justify a good biblical God are apparent and not wrong from a moral stance. I know the notion of Darwinian evolution would be psychologically devastating for you. You must be right in your own mind or else your world will crumble. However for us other lesser mortals who know that we have to evaluate the real weight of the scientific evidence, we know we do not possess all the answers, but that the majority to scientific opinion represents that the best evidence to date. So if the majority of scientific opinion in time refutes Darwinian evolution and supports ID, far enough. Upon what basis do you suggest that the majority opinion is “objective”? Clearly I’m in the minority, but what actual evidence have you or anyone else presented that falsifies my position? Again, your only appeal seems to be an argument from authority – not actual empirical or otherwise scientific evidence. I don’t ignore the opinions of the experts. However, I do think that the experts ignore the weight of all the evidence that is currently available when coming to their conclusions. Because, the Argentinian platypus teeth that were found are juvenile platypus teeth. And yes, the juvenile platypus does have teeth. What is most interesting here is that every major culture in the world has had a Flood story. What is also interesting is that the older and older these stories get, the more and more like the Biblical account they become… strongly suggesting that the Biblical account is the original – not the copy. And yes, the evidence of the fossil record, the geologic column, genetic evidence, and numerous other evidences as already cited for your are best explained, quite clearly, by the Biblical model of origins. There are several problems with your arguments here. First off, even if there were no other viable option, that doesn’t make Darwinism correct. Falsification does not depend upon have another option to replace a theory that is clearly wrong. Beyond this, there is in fact a very good option to replace neo-Darwinism. That option is intelligent design. And, before you argue that ID cannot be a scientific theory, remember that many mainstream sciences are based on intelligent design – to include forensics, anthropology, and SETI. If these are real sciences, then the basic concept of intelligent design can in fact be scientifically proposed and universally applied to any field of scientific investigation of any and all phenomena. Again, when you argue for the “best evidence to date” you’re not arguing for something that you personally understand. You personally have no idea what is or isn’t the “best evidence to date”. No offense, but you seem to be completely ignorant of most of the subjects discussed in this forum regarding supposed evidences for or against neo-Darwinism. The only think you constantly appeal to, the only thing you seem to know and understand, is that my ideas aren’t popular and that most mainstream scientists disagree with me. Other than that, you have no real idea why they disagree with me or why my arguments are right or wrong. You just don’t know. So, if the best you have is an argument from authority that I must be wrong, despite being unable to explain why, what do you really have to offer? I already know that I’m in the minority here. Tell me something I don’t know. In other words, produce a real argument based on evidence that has some actual explanatory power – that actually proves anything I’ve presented wrong. Go ahead. If you’re position in nearly as clear cut and obvious as you make it out to be, it should be easy for you to prove that I’m an idiot and that my observations are clearly way way off base. Sean Pitman: So, does this mean that admitting even the possibility of error is “brittle and dangerous”? Is this not what science is supposed to do? You are not simply admitting the possibility of error you are saying if I am wrong on the age of life on earth then Christianity cannot exist. You have created a monolithic belief structure that must exist or you will discard all faith. That is the dangerous idea. Why is it “dangerous” to be willing to discard a particular faith or belief system if it is shown to be irrational and/or effectively falsified? What’s so fearful or dangerous about that? Sean Pitman: I wasn’t trying to summarize all of your views on science and religion in this article. I was only discussing one particular view of yours – specifically, your view that mindless naturalistic explanations will always be found, eventually, to explain anything and everything that might seem to be designed in our world by some non-human intelligence. I am a scientist that accepts that the basis of science is methodological naturalism. All my statements are based on this definition. I have repeatedly said that I believe in a supernatural realm that is outside the realm of science and do not accept philosophical naturalism. You claim all you want that I am a philosphical naturalist but that is not representing my views. Of course if I accept science as based on naturalism I will accept that natural cause will be found for the content of science because it is definitional and fundamental. That is different to saying all of life and all of knowledge is based on naturalism. Since you do not seem to have a robust or consistent circumscribed definition of science you do not seem to appreciate that. ID is not part of accepted science because it by definition does not accept methodological naturalism. You have to redefine science which is what the DI from Johnson first text wants to do. Historically this is not part of conventional science. I repeat myself by reminding you that I never said that you are a philosophical naturalist. What I said is that methodological naturalism, as you’ve defined it anyway, logically leads one toward philosophical naturalism. In other words, there is no rational or empirical basis to believe in God given your own arguments for methodological naturalism. Why do you believe in God then? You yourself claim that you cannot present any rational or empirical reason for your belief in either the existence of God or the Incarnation of God within Jesus Christ. For many people who come to this conclusion, this is the starting point of a fairly straight road to philosophical naturalism. You see, you yourself would accept a highly symmetrical 1 x 1 x 1 meter polished granite cube as being a true artefact, even if found on an alien planet like Mars (as you’ve explained before). You just don’t want to call this conclusion “scientific”. However, we both know that the vast majority of scientists would call this conclusion scientific if such a thing were ever discovered. The only difference as to the scientific arguments used, of course, is that the very same arguments used on the one hand are not universally applied to all natural phenomena. Why not? Because, your God of the Gaps argument is selectively applied to certain natural phenomena – to include the origin of the universe, the origin of life, and the origin of novel biological complexity beyond very very low levels. > There is superficial conflict but deep concord between Christian belief and science, and there is superficial concord but deep conflict between naturalism and science. Sean Pitman: In any case, you’re correct. It is in fact incomprehensible to me that there are Christians and even scientists who believe in a God for which they admittedly have no more rational argument or empirical evidence, of general appeal, than exists for garden fairies or the Flying Spaghetti Monster. I think you will find that we view the incarnate God Jesus Christ as documented in the Scripture somewhat different to the magical entities. As Hebrews says that is the only real God we can point to and say that is God. How so? Upon what rational basis do you believe that Jesus was God? How are the claims made on behalf of Jesus fundamentally different and more believable compared to the fantastically miraculous claims made for other founders of other religions? I wonder what Jesus thinks of this website? You are not an idiot but you are certainly hubristic to the point of setting yourself as a self proclaimed expert in numerous fields outside of your ken.If you were just dabbling in one area that would be one thing but you claim your weight of the evidence in geology, biology, math, chemistry, nuclear physics, etc. is better than the experts. You are a Renaissance Man! Now, why would all the conventional experts in many areas of science be ignoring the weight of the evidence? Are you suggesting that even though many of those scientists are people of faith that they are blinded by philosophical naturalism and not looking objectively at the weight of the evidence? What are the odds of that? I dare say that biology and chemistry are well within my sphere of professional training and personal experience on at least some level. It’s not like I’m completely unfamiliar with these topics and the mainstream arguments involved in these areas of discussion. Also, I don’t think I’ve argued against any conclusion from nuclear physics. I believe in nuclear decay and accept the nuclear decay rates presented by nuclear physicists for radioactive elements. And, the math I use doesn’t require an advanced degree to understand or appreciate its use to describe what is observed in biological systems and other types of information-rich systems. As far as geology is concerned, one doesn’t have to be an expert to note that certain key observations and questions have not been addressed in any of the literature on geology, yet these observations are fundamentally at odds with neo-Darwinian conclusions. Again, you’re basing everything on the odds that your experts are right – not on your own personal understanding of the issues in play. This is not an unreasonable position for someone who has no personal experience or understanding of the topics. However, it isn’t a scientific position nor is it a scientific argument to use only an argument from authority. Beyond this, consider that the jobs and reputations and careers of these scientists are on the line. If they are seen as promoting intelligent design theories, they will be ostracized by their peers, their careers will suffer, and they may even be fired from their current positions. They’ve also been brought up to believe certain things in a certain way from childhood. It is very hard to meet all these things head on and take on a new paradigm that risks so much. Why is this tagged philosophical naturalism?I know that telling lies for God is an accepted literal creationist practice from Gish to Hovind but I do expect better from my own faith community.I have been crystal clear on my position on methodological naturalism and the practice of science.Of course I could attribute it to incompetence rather than malice but I have a hard time imagining you did it unintentionally. The alledged lie documented by a reliable source. Proof that the statement is a lie. That is the minimum, otherwise you are just a gossip. PS: How many lies for gov $$$ grants have you seen? Are you certain of that? Are you sure you didn’t misread the article? Vestigial teeth, horny pads? Or, are you suggesting that the Argentinian platypus was a different species? – since the juvenile teeth of the modern platypus (Or. anatinus) are smaller, less well developed, and more “vestigial”? Objectively, do you think this statement applies to you? And if not, why not? Careful of that ole double standard, it will come back to bite you. Glad to know you don’t need that ole Phd in geology to argue with the pros. Very handy. However, you’ll excuse me for thinking their opinion may be a little more learned than your own. There’s no double standard. Bias applies to everyone. It is best that one at least be aware of one’s own personal biases and background when considering new information. The only difference with me is that my job isn’t on the line where as the jobs of mainstream scientists are on the line whenever they think to question the fundamentals of Darwinism or to suggest that certain features of the universe or of living things were probably designed. That’s fine, but this argument of your isn’t based on your own understanding of the observations or questions presented. It therefore has no explanatory power beyond an argument from authority – exactly the same type of argument used by religious fundamentalists. Science should not be based only on the consideration of a person’s background, but upon a careful consideration of the observations and hypotheses presented – regardless of who happens to be presenting the argument. If the argument meets all the criteria of a good scientific hypothesis, with good predictive value, then it should be taken seriously – regardless of popular opinion among the “experts” of the day. Over millions of years as indicated by the articles? What is the estimation of the age of those fossilized teeth in Argentina? You already know that I don’t accept the mainstream age estimates for the fossil record. I believe that the evidence strongly suggests that the entire fossil record was created recently and rapidly and catastrophically. Are you really an MD? I did pick the American classification of evidence because I knew for sure you would not have heard of the UK classification or perhaps GRADE. I don’t think you understood my comment. It doesn’t matter what the “expert opinion” may or may not be. What matters is if the evidence is presented in a scientific or empirical manner that you personally can understand. The bigger the brain the more complex the artefact. Big brains are a product of and a natural part of carbon based life. No magic needed for complex artefacts in the presence of a brain working according to natural law. I accept anthropology, forensics, or SETI as being valid sciences when they operate according to premises of methodological naturalism which they certainly do. I have yet to see a forensic report including magic as a cause but you may be able to provide an instance. As a pathologist you may have provided one yourself if so I would certainly to interested in the context and the content. I agree with all of these points. My question to you is, what is the scientific argument(s) used by forensic scientists and SETI scientists to argue that some artefact is a true artefact of intelligent design? And, is it therefore possible to take these same arguments and give them universal application? You see, the problem here is that you’re not allowing for any kind of intelligence, natural or otherwise, to explain anything within living things or with regard to the fundamental properties of the universe. You’re arguing that even if the Darwinian mechanism happened to be as limited as I’m suggesting that you will still believe that some as yet undiscovered non-intelligent natural mechanism was responsible – for even small subcellular systems within living things (like a rotary bacterial flagellum for instance). You would not argue that some form of intelligent design, even on a natural level, was likely responsible – even if you had no known mindless mechanism that could do the job. In comparison, I’m arguing that the same basis for detecting ETI can be used to detect at least human level intelligence behind the origin of certain features of living things. That’s not any more an appeal to “magic” than is the SETI appeal to a true artefact of intelligent design. 1. The role of physicians is superfluous. limited to that which is statistical. Churchill Livingstone, second ed., 2000). must have destroyed his faith in medicine to see what some physicianshad become. Now don’t get me wrong Pard, I revere Christian ethics and the peaceful message he brought. But when it comes to origins and age of the earth the vast majority and weight of the scientific evidence supports and old earth, life evolving over billions of years. And, as Pauluc has so humbly noted, to think that one individual can have expertise in all those complex areas of Science is akin to your oft quoted fable: The Emperor’s New Clothes. You are a smart fella but we now that you are going to bend the interpretation of the evidence to fit the YLC bill. And by the way, all evolutionists are not atheists. And, I never said that all evolutionists are atheists. Those are designed by Man, right? You don’t have evidence of any such cubes that aren’t man made, right? And like you said Science deals with what we know, right? So what do your hypothetical, non observed, extra terrestrial cubes have to do with the origins of life on earth or the origins of the universe? Nothing at all. It’s the same hypothetical question asked by SETI scientists. SETI scientists argue that such a cube or certain types of radio signals, even if clearly not of human origin, would still be clear evidence of extraterrestrial intelligence (ETI). This is a perfect statement of the God of the Gaps argument. Of course no scientist would use loaded philosphical terms “mindless natural mechanisms” which never appears in any pubmed search of the canonical literature of science. Science and scientists have no compunction to explain everything. It is perfectly permissible to say we do not know. This needs further study. We do not have the tools to address this question at present. No scientist would say we have to abandon methodological naturalism the accepted methods of science and bring in magic. We can simply say you have now moved outside the domain of science. There may lie magic or creationism (AKA intelligent design) but it does not make it science as I, almost every scientist and wiki would define it. Since when is arguing that a highly symmetrical polished granite cube is a likely artefact of intelligent design an appeal to “magic”? Also, since when is your appeal so some as yet unknown mindless mechanism of nature testable or potentially falsifiable? How then is this argument not a form of the GoG argument? Also, when most people appeal to “methodological naturalism”, this is in fact an appeal to mindless mechanisms of nature – not some form of human-level intelligence or beyond. You certainly aren’t proposing that some alien intelligence could be responsible for various features of living things. You are proposing that some as yet unknown mindless non-deliberate mechanism was most likely responsible. Thanks for the comment on EBM. It highlights why US healthcare is by far the most expensive in the world. The irony is that while the US has the brightest researchers and best medical research in the world Americans as a population are next to Turkey as the most ignorant in the world about genetics and I would assume also about statistical inference. Some unkindly would see this as reflecting the high levels of fundamentalism in religious belief. The reason healthcare is so expensive in the US is the rule and regs inplemented by the incompetent and the greedy. As far as “evolution” goes, neo-darwinism is a failed paridigm. The is absolutely no evidence that chance and necessity can produce new organs and / or body types. Pertaining to the foundation or basis; serving for the foundation. Hence: Essential, as an element, principle, or law; important; original; elementary; as, a fundamental truth; a fundamental axiom. A leading or primary principle, rule, law, or article, which serves as the groundwork of a system; essential part, as, the fundamentals of the Christian faith. a conservative movement in 20th-century American Protestantism in reaction to modernism, asserting especially the inerrancy of the Scriptures as a historical record and as a guide to faith and morals, and emphasizing, as matters of true faith, belief in the virgin birth, the sacrifice and death of Christ upon the cross, physical resurrection, and the Second Coming. insurance company, and the authority of numeracy. These are physicians with a certain outlook on human ingenuity and creativity. probability of working, and does so although the patient is requesting that therapy? Sean Pitman: Since when is arguing that a highly symmetrical polished granite cube is a likely artefact of intelligent design an appeal to “magic”? I think you would have a hard time arguing that creationism is not magic. But I have a strange feeling you will. You didn’t answer my question. I asked you a specific question about a highly symmetrical granite cube and how it would be an appeal to “magic” to claim that it was intelligently designed? Would you let that rock hand work at your clinic, or would you require him to have proper credentials? Would let him teach pathology at Loma Linda? Sean Pitman: Also, since when is your appeal so some as yet unknown mindless mechanism of nature testable or potentially falsifiable? How then is this argument not a form of the GoG argument? The fact that explanations are unknown or known is largely irrelevant, It is a question of how I practice science. I have accepted a priori to practice science as it should be practiced as a process based on methodological naturalism. It admits there is much that is unknown and not amenable to this process. I do not pretend that all of human experience is amenable to this method but I for sure will continue to practice medicine assuming naturalism and do genetics, virology and molecular and cell biology based on naturalism and not magic. If committing to a consistent and historically validated method of acquiring knowledge is accepting a God of the Gaps in your mind then so be it. I accept I cannot hope to ever get you to appreciate what the rest of the scientific community thinks is obvious. Do you not recognize that your position is not testable or potentially falsifiable? – making it a GoG argument? Because of this you’d be unable to detect intelligent design of any kind behind any phenomena. You’d be unable to detect a murder, for example, or deliberate manipulation of DNA by one of your co-workers. Why? Because, you have, in your own words, an “a priori” commitment to using non-intelligent natural mechanisms to explain all natural phenomena. Again, how is that “scientific”? Perhaps you do as well. The point is that the modern world does reliesm on its scientists for expertise in their ‘specific’ areas. It does mean that an educated mind cannot appreciate that expertise or such expertise cannot be rendered understandable, at a certain level, for the layperson. Otherwise how could such expertise ever be debated in a public forum such as a court of law. You consider this a blind faith appeal to authority, where the individual has no opinion of his own. But an educated, discriminating, person without expertise in scientific areas, can still use common sense to evaluate competing theories or the weight of the evidence and render an opinion. How so? By evaluating competing experts from a logical, rational perspective. Your problem is you think you can substitute your expertise in fields where you do not have the education or training- i.e. geology ( movement of tectonic plates, erosion) and that your layperson’s opinion is not only equal to but superior to the vast majority of geologists, etc., in their fields. Then if people dispute your expertise you say prove it themselves don’t just appeal to the experts that counter you. Actually this is fine rhetoric on your part and you would have done well on the steps of the Acropolis with Socrates. Now you like statistics. What are the chances that you and you alone are right in all the multi disciplinary fields that have to intertwine like strands of DNA to make a viable concept of YLC? Taking into account the vast majority of scientific evidence that militates against your, quite unique, model? I understand your position just fine. You can’t believe that I’m right and all the experts are wrong. That’s a fine position, but it is a faith position in the authority and understanding of others – not in your own understanding. What is your response to the actual observations and arguments I’ve presented? You don’t have one since you don’t actually seem to understand the arguments themselves. So, where are your relevant references to those experts who might understand? You don’t have those either. The one reference you did cite didn’t even discuss a function-based selection mechanism. Why can’t you find a relevant reference? Because they just don’t exist. That’s why. There simply is no science for the Darwinian mechanism beyond very low levels of functional complexity – and for good reason. How is that? Because, beyond these low levels, the mechanism doesn’t work and cannot work. That’s why. Do you appeal to authority when you accept the Bible as the word of God? Do you appeal to authority of EGW when you accept her as a prophet of God? Or do you place yourself above those sources when determining what is the truth? Quite the contrary. I believe the Bible to be authoritative because of the weight of empirical evidence in its favor. It has proven itself, to me, to be credible regarding those things that I can test and understand (unlike other “scriptures”, like the Book of Mormon for example, that seem to be to be quite clearly falsified in its testable claims). You are not doing the same thing with your sources. You don’t seem to have a personal understanding of their testable claims. All you seem to know is that their claims are popular. Beyond this, you don’t see me quoting the Bible as a authoritative, in and of itself, for why you should believe the Bible or why you should believe in intelligent design or in the existence of God. You see me referencing empirical evidence that you can in fact investigate for yourself as to why the Bible is credible and why various features of nature are true artefacts of intelligent design and why certain features of nature (and of the Bible) highlight the very Signature of God Himself. You see, arguments from authority are only helpful if both parties accept the same authority as authoritative on a particular topic. In addition, arguments from authority have no explanatory power. Sean Pitman: Ok, how would you apply these scientific steps to the artificial radio signals that SETI scientists are looking for? or a highly symmetrical polished granite cube found on an alien planet like Mars? You see, one can know that something is intelligently designed without knowing the actual mechanism used to produce the artefact. Therefore, knowing the actual mechanism isn’t really required for a scientist to detect intelligent design. OK lets do the thought experiment. Provenance of a unique granite cube on Mars. 2] What is the background. a] Observation; There is a granite cube on Mars observed by a manned space craft or Mars rover. AIM 1 environmental survey of relevance to granite cube formation. a] physical and structural analysis of the cube to determine evidence of weathering cosmic radiation and isotopic contents. evidence of tooling or artefact. c] Experimental testing of objects introduced to the Martian atmosphere to determine rate of weathering or a 1 year period. d] replication of the Martian environmental condition in simulated environment for testing of weathering and ageing. You now publish these observation about the age of this unique artefact in “The Astrophysics journal” which sees a good high profile place to publish. And that is precisely how forensic science is done. Introducing intelligent design/creationism into this adds nothing and in fact curtails ones ability to do science. What do you do after you say this is totally novel and unknown, it must be Gods work. Not much scope for a research plan comes from that. Perhaps after accepting it is divine you can pray to that Diety and ask him/her to place another one there. Now that’s a fundable plan for sure. Even Ken Ham would not fund that. First off, much of what you list here is not required before the granite cube would be declared to be a true artefact of intelligent design by pretty much the entire scientific community. None of these elements of your hypothetical research project, while perhaps interesting, are required to determine the artefactual nature of the granite cube. All that needs to be known to determine that the granite cube is a true artefact of intelligent design is that it is in fact made of granite and it is highly symmetrical and perfectly polished (without weathering or tool marks of any kind). This information alone is enough to conclude that this cube is a true artefact of intelligent design – and you know it. The very same thing is true of the radio signals that SETI scientists are looking for. None of the information that you’re asking for is required before such signals would be declared to be true artefacts of intelligent design – according to valid science. There you go completely methodologically naturalistic examination that make no assumptions about the divine or supernatural and finds intelligent design superfluous. You know as well as I do that such a discovery would be declared a true artefact by pretty much every scientist in the world and that no one would consider the clearly artefactual nature of the cube “superfluous” or meaningless. It would, after all, hit the front page of every newspaper in the world. The implications of alien intelligent life, at least equivalent to our own level of intelligence, would be extraordinarily exciting and exhilarating for the vast majority of people living on this planet. You’ve got to be kidding me! This is not how forensic science is done. The forensic scientist is actually expected to produce his/her opinion as to if intelligent design was clearly involved – or not. The forensic scientist doesn’t simply present observation and descriptions of the body and leave it at that. The forensic scientist must explain what these observations mean with regard to if they do or do not suggest that deliberate intelligent design was involved. It doesn’t matter if the conclusion of intelligent design does or doesn’t have any meaning for you or anyone else. The fact remains that the discovery of a true artefact of intelligent design can be supported by valid science. Beyond this, if someone thinks that an intelligent alien is the most likely source of this intelligence – fine. If someone wants to believe that God is the most likely source of the cube, fine. Such conclusions have nothing to do with the fact that whoever made the cube and however they made it, it was intelligently designed. Thats all well and good. Please give me the outline for your NSF proposal. If you cant pitch this to a science funding body or even the national geographic it is not anything approaching science. Spell it out with specificity after all you do seem to accept the Popperian model. That this is an artefact and that it was made by a life form and not be magic is so blindingly obvious that to state it would be an insult to the review panel. So, you do actually agree that our granite cube is a clear artefact of intelligent design? and that this conclusion is “blindingly obvious”? That’s great! But, it doesn’t answer the question as to why the conclusion of design is so blindly obvious? What is the rational basis for this conclusion? And, can this same argument be used to evaluate other natural phenomena and determine that they are “blindly obvious” artefacts as well? For example, why don’t you believe it possible for some as yet unknown mindless natural mechanism to explain the origin of a highly symmetrical polished granite cube? After all, you claim that some future discovery is likely to explain what may seem like a true artefact in living things, but really isn’t a true artefact of design. Why not be consistent and use this same argument against the artefact theory for the granite cube? Thats all well and good. Please give me the outline for your NSF proposal. If you cant pitch this to a science funding body or even the national geographic it is not anything approaching science. Spell it out with specificity after all you do seem to accept the Popperian model. My proposal is, of course, that certain features of living things are even more “blindly obvious” as artefacts of deliberate design than is a highly symmetrical polished granite cube found on Mars – for the very same reasons. Paul Giem: I will agree that the miracles themselves are usually beyond science. However, if they become reproducible, various physical and theological hypotheses can be tested. And their aftereffects certainly can be tested. Reproducible miracles as part of science. Your 3 examples of miracles in science actually have nothing to do with miracles at all and confirm my acceptance of methodological naturalism as the basis of science. 1] The Turin shroud. It is a physical object within the natural world and can be and has as you indicate been analysed according to the premise of methodological naturalism. The 3 criteria I have articulated above including publication in the scientific literature apply. Whether or not they agreed to the historical record of Christians is totally irrelevant to any miracles attributed to the artefact. 2] Dating of religious artefacts such as the Dead sea scrolls and manuscripts of Daniel. Are they not physical objects amenable to examination by naturalistic methods including dating and standard techniques of archeology. 3] Reporting of C14 in nominally old carbon based objects is of course an observation that can be made and reported in the literature of science whatever the particular interpretion you make. The discussion in any paper allows you to explain your data’s significance and implications. But try to explain that results that are within the noise of an assay provides any evidence for the young age of your object and you will as you should be heavily criticised by your peers in the review process. Using the exceptional (there is still some signal, just barely detectable if you do enough replicates and discard the ones that are within the background range) as your basis for understanding is rotten science. Particularly when you at the same time completely disregard any dating by this method applied within the range it was designed to be used as does Sean and I presume you in trying to sustain the argument that life as always less than 6000 years old. I did not say specifically that everything published in the scientific literature should have a mechanism because it is neither theoretically nor operationally correct. Clearly phenomenology, empiricism and observation without theory has been part of science and particularly medicine for a very long time but advances in scientific knowledge come because of improved understanding of mechanism and theory. To take your example of metoclopramide and migraine it is clearly an observation worth making and verifying in clinical trials. Objective verification of efficacy is clearly science and is the basis of the concep tof evidence based medicine. You know that much of the initial therapies in medicine arose as empirical observations which only later gave way to mechanisms and manipulation of the process. In my area of research HIV immunology. The first effective drug for HIV was AZT which arose as a hit in broad screen of existing compounds and extracts from various plants that might have anti-viral activity. Protease inhibitors however were constructed and have been modified because of an understanding of the crystallographic structure of the viral protease. Understanding of the active site on the molecule led to the development of compounds that specifically bound and inhibited that site. These observation have been what has revolutionized HIV therapy. Which is the better science? Pure empiricism or knowledge of mechanism and practical application of theory? What are the therapies for cancer now? Gone is the reliance on the toxicity of plant alkaloids, now we have a next generation of therapies with tyrosine kinase inhibitors, growth receptor blockers, histone deacetylase inhibitors and modifiers of methylation. We got these through understanding mechanism. Paul Giem: It seems like your definition of science could use some work. Just for what it is worth, multiple philosophers of science have worked on defining science, and the consensus is that there is no currently satisfactory answer to the “demarcation problem”, and may not be in the future. If you don’t believe me, read the philosophy of science literature. There is a field of philosphy of science just as there is in most areas of knowledge, none of which I can expect to completely master. I am certainly not Sean. My definitions are not at all meant to be theoretical positions but are operational definitions describing what I do as a scientist publishing in the literature of science. The nature of science is of course evolving rapidly and has since the time of Galileo and Darwin. And as you will know policy and theory often follows and is derivative of practice. I am describing what science for a scientist is now in the 21st century, obviously skewed to biology which is where I practice. I have summarized the nature of science in 3 simple points which are designed to forestall problems we encounter in the current environment where large amounts of information is freely available. 1] I have defined the basis of science since it is bound to be skewed by the philosphical naturalists with a form of scientism on one side and magicians on the other who believe that any logical thought no matter its premise or presupposition must be science. I define science as a form of knowledge acquisition that is restricted to specific content and based on assuming that there is natural process and natural law. There is obviously a vast historical background to this premise which is clearly and undeniably an assumption. I assume that the natural world is consistent and understandable. For this to work I assume that we must discount the possibility that it is all completely the whim of the Gods or the unknowable. This premise is not at all idiosyncratic as you will find if you do something as simple as looking at wiki. It makes absolutely no assumption about whether or not there is a supernatural or miracles but says we can operate and understand the physical structure of the natural world without including these as causalities. It specifically defines the supernatural as being separate from science and not part of science. Whether this is desirable or not is completely irrelevant to practice. 2] Experiment. This is hardly controversial. Generation of hypothesis and testing the implications of this hypothesis by experiment is central to science and obviously is Popper’s lasting contribution to the way science is practised and evaluated. From the grant application to the published product it is core. A grant is highly unlikely to be successful unless it includes a background to the problem, a statement of the hypothesis and the specific aims designed to test that hypothesis. As Popper has articulated the experiment must be doable and designed to test the hypothesis or its implications. This again excludes the miraculous and untestable. 3] Publication in the peer reviewed literature of science. This is not at all a capricious criteria I have invented but describes the way science has been done for more than 200 years. I know you haven’t read much on this site if you have not seen that Sean has previously canvassed the exception of Da Vinci with his encrypted recording of his data as the exception that provides the paradigm for good science. To him communication is irrelevant to science. Perhaps you should check out this previous dialog. I would simply say that, with some exceptions, scientists or their predecessors naturalists or natural philosphers have always written and presented their data to their peers. Science as a body of knowledge cannot grow without at some point communication of that knowledge. This was initially to learned societies (The Royal Society, The National Academy of Science are obviously British and American examples) Journals originally derived from such societies to publish these communications. Think the BMJ Lancet, NEJM etc as journals in your field. Before these however there was publication of scholarly works of which obviously the origin of species was one, the Principia, Dialogo sopra i due massimi sistemi del mondo, De revolutionibus orbium coelestium others. There remain now monographs containing peer-reviewed data and books about science but as you will know if you have ever employed someone or been on a selection committee for an academic post or a grant review of track record these are of limited value and the impact of scientific work is now judged by citations, impact factors of journals and impact on practice. Peer review has always been at the core of science and publication in peer reviewed journals is now the core of science. Why is that important? It sets a standard which says this work has passed review for novelty, scientific standard or statistical validity, plausibility of mechanism and consistently logical thought. I would add although this is never articulated explicitly methodological naturalism. It is then canonical in the sense that it is authorized to be considered scientific and part of the body of scientific literaure. The consequence is that I do not have to trawl through the garbage that is the chatter about science I can find by a google search. I can do a pubmed or ISI search or perhaps a google scholar search and know that I am looking at something that can stand muster by at least minimal criteria. Of course as I have said before this does not prevent rubbish and fraud but it does introduce some level of accountability. I have not dealt with the league ranking of journals and their inclusion in indexing systems but that is another question for which I am quite confident if you are like any other literal creationist I have met you will have significant concerns. Nor have I dealt with the land grab that is occurring at the edges of science with the opportunity offered by open access publication and the next to negligible cost of online publication. I would just reiterate that a robust peer review process and established criteria for assessment of the science will be critical going forward. I have said enough. If you don’t like mine perhaps you can give me 3 succinct sentences that describe your proposal for a theoretical or operational definition of science? 1] You seem to have excluded methodological natural as extrinsic criteria. Do you include magic or perhaps only reproducible magic. 2] you do agree on experiment but that is pretty bland if you want to include experiments on magic. You do not seem to want to privilege mechanism as most desirable characteristic of science. 3] you seem to want to exclude peer review in publication. Do you include equally information from any written source. Do you want to include you tube videos or personal communication. On that criteria UFO are of course absolutely verified by multiple witnesses and scientific. Thanks for pointing out this paper. I am astonished at the precision of the C14 dating but that probably reflects my lack of knowledge of the area. I am not sure how this is relevant to the arguments since it does not at any point invoke magic but is as far as I can see completely methodologically naturalistic. Any good paper ends with a reiteration of the remaining questions so lack of complete mechanistic explanation is the norm rather than the exception. It is only in religion and human affairs where knowledge is complete. I agree that at present, I do not know of any reproducible reasonably provable miracles, and therefore that category, although theoretically present (and perhaps practically present in Jesus’ day), is not, to my knowledge present now except in a very weak way. The prayer studies are controversial, and although theoretically if they had “worked” would have been remarkable, the consensus is now that they didn’t, so they are not enough of a case to force a change in your practical definition. I have my own personal prayer stories, that have become reproducible, but certainly are not good enough quality to publish. For now let’s just leave that question alone. Your 3 examples of miracles in science actually have nothing to do with miracles. Oh, but they do, and you seem to have missed that point. Let me explain. 1. There is currently a controversy surrounding the Turin Shroud, quite apart from any miracles possibly caused by viewing or touching it. Again, I don’t know enough to know whether the claims are true, but it is claimed that there is an image, of a person, that has unusual if not supernatural features, and some claim that this is because it is the actual burial shroud of Jesus. That, if true, could point to a supernatural event. It is also claimed that the Shroud is a medieval forgery. If true, this would destroy the value of the Shroud as a witness to the Resurrection. Thus, the carbon-14 date might impinge upon a possible witness to a miracle. This is not repeated miracle, but could be reproducible evidence tending to support a miracle. You seem to think it is science, even though the possibility exists that the carbon-14 date could point in the direction of the supernatural. So your criterion of methodological naturalism is under a certain amount of strain. 2. The scrolls of Daniel and Leviticus, if dated earlier than 168 BC and 600 BC respectively, would destroy the Maccabean theory of Daniel and the Documentary hypothesis of the Pentateuch, and strongly suggest that Daniel made accurate prophecies, and that the writer of Exodus was an eyewitness, who in fact witnessed a miracle. In that case, what you would consider science would support supernatural events. 3. You are apparently not familiar with the data on carbon-14 dating. You write,”But try to explain that results that are within the noise of an assay provides any evidence for the young age of your object and you will as you should be heavily criticised by your peers in the review process.” True. But quite a bit of the data, not cherry-picked, is well outside the noise of an assay, so much so that one of the founders of the method has confessed that it exists (see TalkOrigins, of all places!). His explanation is that carbon-14 is being made by neutrons underground. I can give you references if you wish. But even more important than the actual results, for our purposes, is the theoretical question, if these results were accurate and reproducible, would they be science? I think so. Do you? I am glad that you do not require mechanism before declaring something science. I do agree with you that if we understand the mechanism, it is better. But if we do not understand the mechanism, it does not disqualify a subject as science, or we would have to disqualify quantum mechanics, the most successful physical (and maybe scientific) theory ever. My definitions are not at all meant to be theoretical positions but are operational definitions describing what I do as a scientist publishing in the literature of science. It is not clear what “It” is, but presumably you mean either methodological naturalism (MN), or science that includes MN. And by MN, I assume you mean the strong form. I see two problems with that: 1. If we insist on MN in science, and we do not have a procedure for stating what is outside science, we are in fact operating under a de facto philosophical naturalism (PN). For PN is empirically indistinguishable from the proposition that MN applies in all places at all times. That is, the insistence on MN is in fact PN. Gentry RV, Christie WH, Smith DH, Emery JF, Reynolds SA, Walker R, Cristy SS, Gentry PA, 1976: “Radiohalos in coalified wood: New evidence relating to the time of uranium introduction and coalification.” Science 194:315-8. Should Science retract this article? That is why I prefer the softer form rather than the strong form of MN. Do you see the point, and if so do you agree? Or do you prefer to defend the consensus at this point? If so, what do you do with the above data? Your point 2 is uncontroversial, as you noted. I agree that it usually excludes miracles, but not always, at least theoretically. The manna that fell every morning to the Israelites could have had several tests done on it, and apparently had a few crude tests done on it, including whether it kept overnight (of course, if one doesn’t believe that manna ever existed, the illustration is not convincing). I would rather not exclude the supernatural by definition, but rather (the vast majority of the time) practically. That’s not quite true; Darwin didn’t publish his theory in a journal, and that was closer to 150 years ago. But I agree, in general. While it may be science before it is published, if the experiment or observation is repeated, it is strongly desirable that the results be disseminated to where all scientists can obtain them, and possibly attempt to reproduce them. And peer review, done properly, helps correct errors before publication. I don’t think communication is irrelevant to science. It is important. I just don’t think it should be part of the definition. On reading your (second) post, I think that we need to be careful to distinguish between the definition of science, how science ideally should be done, and how science is in fact done. In a way, citations are a non-thinking man’s proxy for judging the value of a publication personally. The more citations, the more other people felt the paper was important, so the administrator or granting institution doesn’t have to make his/her/its own independent judgment (and impact rating is just a more refined measure of citations). And considering that the judging person or agency may not be able to make that judgment, it may be the only measure available. But we shouldn’t deify those shortcuts. They are shortcuts, not the ideal. The same goes for funding. So, as requested, I will give my definition of science. Science is the study of the reproducible. If magic or miracles are truly reproducible, then they qualify. One-off episodes of magic or singular miracles do not qualify. Mechanism is desirable, but not mandatory. I don’t exclude peer review from science; I simply exclude it from the definition of science. I hope you see the difference. It definitely is desirable to publish, and it is desirable to publish in a peer-reviewed journal. YouTube videos under the proper circumstances could inform science. Personal communications often get cited (!). However, a single YouTube video is not yet reproduced, and is in the same category as a single miracle or magical act. If you want more on my philosophy of science, go to Scientific Theology, chapter 1. I am not sure how this is relevant to the arguments since it does not at any point invoke magic but is as far as I can see completely methodologically naturalistic. You will notice that the editors of Origins felt the need to put a black box warning at the end of the article. As you can see, I live dangerously. What do you see as the difference between an artefact of “magic” vs. “creative intelligence”? 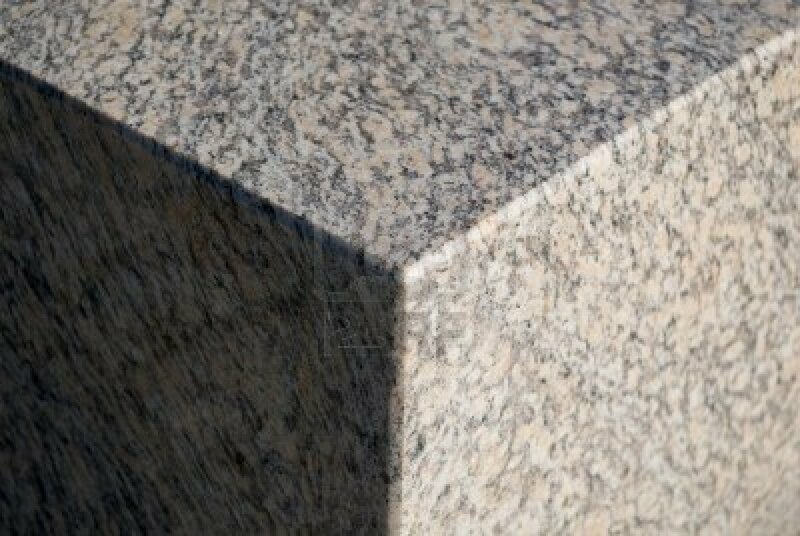 You agree that a highly symmetrical polished granite cube is a “blindingly obvious” artefact of creative intelligence. How is such a cube any different from anything that you think Jesus made by Divine power? – such as one of the loaves of bread that He miraculously made to feed thousands of people? How could you tell the difference between the loaf of bread that Jesus made vs. one that any housewife would have made? Clearly, there is no detectable difference. Is it not therefore possible for God to create things that humans can also create? – things that would still be “blindingly obvious” artefacts of creative intelligence? How then is it not possible to say that same thing about certain features of living things that are also “blindingly obvious” artefacts of creative intelligence according to the very same methods used to determine that the other artefacts mentioned are “blindingly obvious”? David Read: The syncretistic hodgepodge religion you’ve created for yourself, combining elements of a biblical world view (the incarnation) and elements of a pagan worldview (a self-created creation) is not Adventism. It is anti-Seventh-day Adventism. I cannot see that believing in a mechanism of God creative work that is other than fiat creation but is based on the creative potential that comes from God is a pagan view. That acceptance of this view of a theory of creation based as it is on overwhelming scientific evidence would have drawn your ire rather than your commendation either says that you and Sean are not on the same page in terms of your epistemology or that you do not accept that the convention accepted since of the renaissance of determining the how has any value to a Christian. As for syncretism, my synthesis is I suspect much closer to the Adventist tradition than your fundamentalism that imbibes of the modern American religious right with its Gun Guts and God and the highly reactionary political agenda. Adventism took elements of the anabaptist tradition; non-violence, anti-war and aversion to politics, a modernist view of the soul, the nature of mind, state of the dead, that was certainly nothing like conventional protestantism, a pietism that lead to a view of the body temple that revolved around the health reform, a dress code and a position on smoking alcohol and drug use and a Jewish perspective on the Sabbath, clean and unclean food and an ambivalence to circumcision and the other Jewish prohibitions. This was wrapped in an apocalyptic view of the future that went in perspective, specificity and scope well beyond anything accepted by other protestants then or now. Are you seriously rejecting this history of Adventism’s origins and its powerful premise of renewal, rejuvenation and engagement with the world encapsulated in its espousal of ‘present truth”. I would hope not.